I dont think we should do the updates, maybe have them as a drop down / button on the menu. I'd like to have the sidebar. 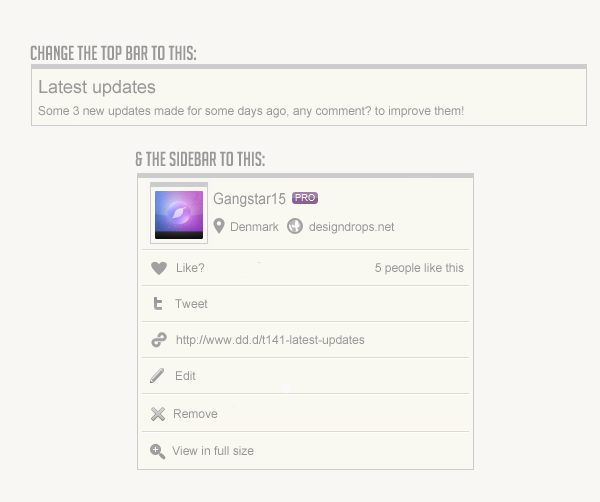 btw... What's the font of the "Sidebar to this"
Same here and the ranks are also a bit off. Gangstar15 wrote: What about now (:? Back to normal ;) Good work !